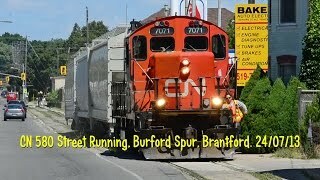 N 43° 8' 0" and W -80° 15' 58"
Brantford in Ontario with it's 87,759 inhabitants is located in Canada about 275 mi (or 443 km) south-west of Ottawa, the country's capital. Local time in Brantford is now 05:53 PM (Friday). The local timezone is named America / Toronto with an UTC offset of -4 hours. We know of 9 airports in the wider vicinity of Brantford, of which 3 are larger airports. The closest airport in Canada is John C. Munro Hamilton International Airport in a distance of 17 mi (or 27 km), East. Besides the airports, there are other travel options available (check left side). Depending on your travel schedule, you might want to pay a visit to some of the following locations: Woodstock, Milton, Erie, Toronto and Mayville. To further explore this place, just scroll down and browse the available info. Let's start with some photos from the area. Jennifer Blake with Tyler Triva vs Beautiful Bea Magnificent Championship Wrestling Brantford, Ontario March 21, 2015. Brandon Thurston vs Alessandro Del Burno Magnificent Championship Wrestling Brantford, Ontario March 21, 2015. 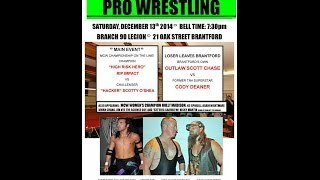 Jim Nye 'The Science Guy' vs T-Rex Atkins Magnificent Championship Wrestling: Ripped 4 year Anniversary Brantford, Ontario December 13, 2014. Brantford Tattoo Shops - BodyIllusions Tattoo Studio, Best Quotes Anywhere! Paris, Ontario (2011 Urban Area population, 11,763) is a community on the Grand River in Ontario, Canada. The town was established in 1850. In 1999, its town government was amalgamated into that of the County of Brant, Ontario, thus ending about 149 years as a separate incorporated municipality. Located at 43.2, -80.3833 (Lat. / Lng. ), about 7 miles away. Burford is a rural community and is part of the County of Brant, in central southwestern Ontario. It has 1,940 residents (2006 Census). It is located eight kilometers west of the City of Brantford along Highway 53, and seventy kilometers east of London, Ontario. It is approximately 100 km southwest of Toronto. There are few visible minorities except for migrant workers from Jamaica and Mexico who are readily welcomed into the community as they are viewed as vital part of the local economy. Located at 43.1022, -80.429 (Lat. / Lng. ), about 8 miles away. Paris District High School (PDHS) is a regional high school in Paris, Ontario, Canada. The school itself was built in 1923, replacing the previous Grammar School which had been built in 1858, and was known officially as Paris High School until a large addition was constructed in the late 1960s. In 2004, PDHS serves students from Paris and other towns found in the immediate area, including St. George, Drumbo, Burford, Princeton and Glen Morris. Located at 43.2039, -80.3856 (Lat. / Lng. ), about 8 miles away. Barker's Bush is a forest located near the banks of the Nith River in the community of Paris, County of Brant, Ontario, Canada. The bush is directly north and west of Lion's Park, and less than one kilometre northwest of the confluence of the Nith and the Grand River. Located at 43.1931, -80.3972 (Lat. / Lng. ), about 8 miles away. Pauline Johnson Collegiate & Vocational School in Brantford, Ontario, Canada is a composite high school with collegiate and vocational departments. It was named in honour of the Native Canadian poetess E. Pauline Johnson, who was born nearby. The school was officially opened on October 18, 1955. In 1960 the fine new vocational wing was opened for use by the Technical and Commercial Departments making possible a full composite school. A second addition was completed in 1963. Located at 43.1394, -80.2393 (Lat. / Lng. ), about 1 miles away. The W. Ross Macdonald School was founded in March 1872 in Brantford, Ontario, Canada. Its first principal was Ezekiel Stone Wiggins. It provides instruction from kindergarten to secondary school graduation for blind and deafblind students. The school is one of two special residential facilities in Ontario for blind and deafblind students. It draws students from across the province and northeastern United States, and has residences to accommodate those that do not live in the local area. Located at 43.1526, -80.2844 (Lat. / Lng. ), about 2 miles away. Her Majesty's Royal Chapel of the Mohawks is the oldest building in Ontario and the first Protestant Church in Upper Canada. It is one of six Chapels Royal outside of the United Kingdom, one of two in Canada, the other being Christ Church Royal Chapel in Deseronto, Ontario. In 1981 the chapel was designated a National Historic Site of Canada. Located at 43.1244, -80.235 (Lat. / Lng. ), about 2 miles away. The Brantford Civic Centre is a 2,981-seat arena in Brantford, Ontario. 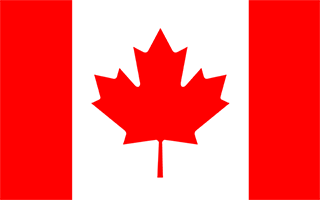 It was built as a Canadian Centennial project in 1967. It is home to the Brantford Golden Eagles of the Ontario Hockey Association, and the Brantford Blast of Major Hockey League. The 2008 Allan Cup was played there from April 14–19, which saw the home town Brantford Blast win the 100th Allan Cup, beating the Bentley Generals 3–1. Located at 43.1353, -80.265 (Lat. / Lng. ), about 0 miles away. Located at 43.1381, -80.2682 (Lat. / Lng. ), about 0 miles away. The Battle of Malcolm's Mills was a brief skirmish during the War of 1812 in which a force of American cavalry overran and scattered a force of Canadian militia. The battle was fought on November 6, 1814, near the village of Oakland, in Brant County, Ontario. The skirmish was part of a series of battles fought by American Brigadier General Duncan McArthur on an extended raid into Upper Canada. Located at 43.0285, -80.3301 (Lat. / Lng. ), about 8 miles away. The Ford Plant was a not-for-profit music venue founded in 2002, which has expanded at various times into projects such as an art gallery (the One King Gallery, studio, music store and record label. Located in downtown Brantford, Ontario, Canada, its small spaces and unique atmosphere create one of Canada's most intriguing rock venues, as well as one of the more lively. The Ford Plant holds only about one hundred people, with the party-like environment often spilling out into the streets. Located at 43.1383, -80.2671 (Lat. / Lng. ), about 0 miles away. Lynden, Ontario is part of Flamborough, which is itself part of the city of Hamilton. Lynden now has fewer than 500 residents. There used to be a train station in Lynden that went to Hamilton and Lynden provided goods to that city. Currently Lynden has many farmers, small business entrepreneurs and commuters to Hamilton, Cambridge, Dundas, Brantford and Toronto. Phone numbers in Lynden begin with 519-647. Located at 43.2296, -80.1445 (Lat. / Lng. ), about 9 miles away. Assumption College School is a Roman Catholic Secondary School in Brantford, Ontario, Canada. Located at 43.1222, -80.2995 (Lat. / Lng. ), about 2 miles away. North Park Collegiate and Vocational School is a public secondary school located in Brantford, Ontario, Canada offering academic courses to students in grades 9 through 12. Located at 43.1684, -80.262 (Lat. / Lng. ), about 2 miles away. Arnold Anderson Stadium at Cockshutt Park is a baseball venue located in Brantford, Ontario and home to the Brantford Red Sox of the Intercounty Baseball League and the Brantford Braves of the Junior Intercounty Baseball League. Cockshutt Park is named after the former Lieutenant Governor of Ontario Henry Cockshutt, while Arnold Anderson Stadium was named for local broadcaster Arnold Anderson in 1998. An episode of Due South, "Dr. Long Ball", was filmed at the stadium. Located at 43.1359, -80.2775 (Lat. / Lng. ), about 1 miles away. Laurier Brantford is a satellite campus of Wilfrid Laurier University located in Brantford, Ontario. The other campus of the University is in Waterloo, Ontario. Laurier Brantford opened its doors in 1999 with a total of only 39 students in its inaugural year. As of 2009, over 2,000 students were enrolled at the school. Laurier's main building is the Carnegie building on George Street. The campus has since expanded and has several academic and residence buildings. Located at 43.14, -80.2616 (Lat. / Lng. ), about 1 miles away. Brantford Collegiate Institute and Vocational School, also known as simply "Brantford Collegiate Institute" or "BCI", is a secondary school in the city of Brantford. It is commonly known as Brantford's "saving grace", in terms of secondary schools. Its activity is overseen by the Grand Erie District School Board, a medium-sized school board in the Province of Ontario. Located at 43.1431, -80.2736 (Lat. / Lng. ), about 1 miles away. Located at 43.1501, -80.2164 (Lat. / Lng. ), about 3 miles away. The Brant Haldimand Norfolk Catholic District School Board is a school board that serves the communities of the County of Brant, Haldimand County, Ontario, and Norfolk County, Ontario in Canada. The main headquarters are in Brantford. The school board has 31 elementary schools and 3 high schools. These High Schools include Holy Trinity, Assumption College, and St. John's College. Located at 43.1706, -80.2572 (Lat. / Lng. ), about 3 miles away. Brantford railway station in Brantford, Ontario, Canada is a manned railway station for Via Rail trains running from Toronto west to Windsor. A coffee shop & art gallery operates within the premises; it is the only station in the Windsor-Quebec City corridor to have a place where people can drink coffee and listen to live music. It is owned and operated by Mr. and Mrs. Mike Tutt and was officially opened in 2009. Located at 43.1465, -80.2657 (Lat. / Lng. ), about 1 miles away. The Brantford Jail is a jail in downtown Brantford, Ontario. It is slated to be closed in 2013, along with the Chatham jail and the Toronto West Detention Centre. Located at 43.142, -80.2633 (Lat. / Lng. ), about 1 miles away. The Bell Telephone Memorial, also known as the Bell Memorial, is a monument commemorating the invention of the telephone by Alexander Graham Bell in July 1874 at his parent's home, Melville House, in Brantford, Ontario, Canada. 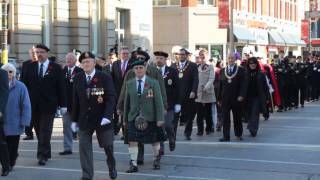 In 1906, the citizens of the Brantford and Brant County areas formed the Bell Memorial Association. In 1908, the association's designs committee asked sculptors on two continents to submit proposals for the memorial. Located at 43.1411, -80.2681 (Lat. / Lng. ), about 1 miles away. Mount Pleasant is a community in Ontario. Located at 43.248, -80.313 (Lat. / Lng. ), about 8 miles away. 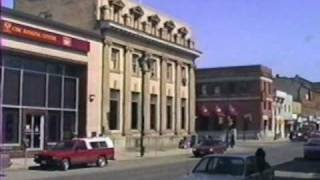 The Sanderson Centre for the Performing Arts is a heritage theatre and concert hall located in the heart of downtown Brantford, Ontario. The Sanderson Centre seats 1,125 people and is a home for local performing arts organizations like the Brantford Symphony Orchestra and provides a venue for school and community events, recitals and amateur dance competitions. The Sanderson Centre also offers a season of professional entertainment and arts programming. Located at 43.1399, -80.2646 (Lat. / Lng. ), about 0 miles away. The Brantford Golf & Country Club is a private golf course and curling club located in Brantford, Ontario, Canada. It is the fourth oldest golf club in North America having been founded in 1879. The course is ranked 46 in 2010 Scoregolf Top 100 Courses in Canada. Located at 43.1603, -80.2972 (Lat. / Lng. ), about 2 miles away. These are some bigger and more relevant cities in the wider vivinity of Brantford.